I can sure tell a big difference with my new hearing aids! The TV is much better and I can finally understand what my wife is saying to me. Countryside Hearing is the absolute BEST! I've had 3 different sets of hearing aids over the past 5 years. They have been satisfactory at best. I have just recently been fit with a new top of the line hearing aid system from my Workman's comp provider. On a whim, I was trying to get my bluetooth to work and I saw a good review online for Countryside Hearing. Once I got my Oticon OPN 1 hearing aids from my ENT, something told me to make a special appointment here. And wow, what a difference! When somebody who is very picky, like me, Tom Mitchell fine-tuned these hearing aids that the other facility didn't, or couldn't do. The difference was incredible! I now LOVE my new hearing aids and LOVE Countryside Hearing! I always look forward to my visits because the staff is so wonderful! It is absolutely true! People do not realize how much they are missing in life. I am hearing things I haven't heard in years! I can go to meetings and sit anywhere I like and not miss a thing! From the first day I walked in the door I felt comfortable and trusted you guys. You didn't try to strong-arm me into buying anything. I thank you and appreciate everything you guys have done for me. And I'm telling you the truth, these new hearing aids are fantastic! You guys are life savers and your business it totally on the up and up! I could not be happier. There are a lot of merchants in the world, but you guys are on top! I am always happy when I leave Countryside Hearing. I took my mom everywhere! No one else could help her. They said there was nothing they could do for her. After going to Countryside Hearing, it is like a whole new life! She use to be so quiet, but now she can participate in conversations and enjoy life again. The staff is amazing and kind. They are always congenial, pleasant, and they just make the entire visit wonderful. Thank you so much! I love you guys! The most important thing for me was to be able to hear in church. After seeing Tom at Countryside Hearing I can hear everything! I really enjoy it! now! Tom is very talented and professional. The office is always clean and has a lovely family atmosphere. When you go to Countryside Hearing you just feel cheered up. I would recommend this practice to anyone! We love you all! If you want the BEST, Countryside Hearing Aid Services is the place to go. 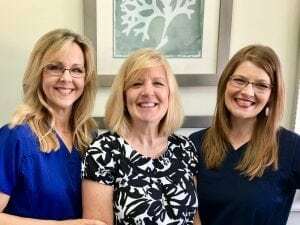 The best hearing aids, the best staff, (Tom, Laurie, and Rachel are incredible), the best service, and every appointment is a joy. I always walk out with a smile on my face! Tom, Laurie and Rachel are good people. Very honest, understanding and always willing to help. Countryside Hearing is excellent! Tom and his staff always go well beyond the call. Their hearing aids and service are as good as you're going to find. I'm hearing great...sometimes I think I'm hearing too much! 😀 Countryside Hearing is the only place to go if you need help with your hearing. Better hearing has changed my life and all for the better! I cannot recommend Countryside Hearing highly enough. You really need to visit them if you are thinking about hearing aids. I'm a customer that had hearing aids before but never wore them. Once I got hooked up with Tom, I never take them out! He won't stop until he gets it right. The whole office and everybody has treated me very well. Never met such nice people to deal with. These are the best hearing aids I've ever had. I'll stay with Countryside Hearing for forever! They are all wonderful people, just like family! Its always a pleasure and the staff and hearing aid specialist are above board. Tom is really nice. Could not be nicer! So are the girls. They all make you feel very welcome. The service at Countryside Hearing has been very thorough. It's very timely and they always answer my questions exactly right. Tom made sure I was happy with the product before any commitment. They are always readily available on the phone too. Countryside Hearing is perfectly located and the convenient hours fit my schedule. They are all very friendly people with lots of smiles when you come in and the coffee is good too! I appreciate you all, I can hear! I just wanted to 100% recommend Countryside Hearing. I have been using hearing aids over 20 years and have never dealt with such nice helpful people. The whole office I couldn't recommend more in every way.